Deep in the wilds of northern British Columbia, people are trying to imagine what the region's forests, salmon streams and alpine meadows will look like by 2050, when climate change is expected to have drastically altered the ecosystem. Scientists predict the next 40 years will bring a 3C to 5C rise in mean annual temperature for British Columbia's Taku River region, and up to 30 per cent more precipitation. ((David Nunuk))Deep in the wilds of northern British Columbia, people are trying to imagine what the region's forests, salmon streams and alpine meadows will look like by 2050, when climate change is expected to have drastically altered the ecosystem. 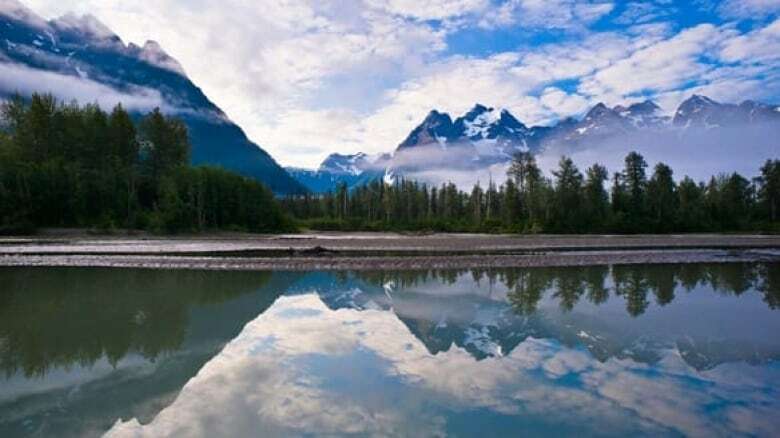 The Taku River Tlingit First Nation and the province are in the midst of deciding how to manage three million hectares bordering Alaska and the Yukon. When it is completed in the spring of 2010, their agreement will be one of the last large land-use plans in B.C. It may also be the first to explicitly address climate change by relying on research released earlier this year that helps predict which zones are best conserved as wilderness and which could be developed. But it is a devilishly difficult task, scientists familiar with the area say. How do you make conservation decisions when the land to be conserved is in the midst of dramatic change? In addition to warmer temperatures and increased precipitation, rapid changes in snow pack, water flow, permafrost, wildfire and insect infestations are all anticipated for the region. B.C. is not alone in this challenge. In fact, conservationists around the world, who are struggling to protect plants and animals in the face of rapid climate change, are beginning to compare themselves with harried triage doctors. While, technically, conservation is about keeping things as they are, scientists now say that may no longer be possible. "The point is not to think outside the box, but to recognize that the box itself has moved and, in the 21st century, will continue to move more and more rapidly," University of Colorado ecologist Timothy Seastedt and his colleagues write in the journal Frontiers in Ecology and the Environment. Seastedt and others argue land managers must focus on ecosystem diversity to give plants and animals the best chance to adapt to the change scientists say is coming: The more diversified a system, the more resilient. Trying to return ecosystems to some historic or natural state is no longer possible, they say. "To be honest, the combination of climate and atmospheric chemistries we're experiencing now — you can't find any historical match," Seastedt says. B. C. ecologist Jim Pojar is grappling with this in his climate change study on behalf of the Taku River Tlingit First Nation and the province. His report divides the area into cells of 90 square metres, identifying the landscape's enduring physical features such as bedrock geology, mountains, valleys, lakes and streams. He then overlays on that grid the 3C to 5C rise in mean annual temperature predicted for the region and the 10 to 30 per cent increase in predicted precipitation. The report recommends protecting large intact watersheds with as many different landforms as possible as the best way to retain biodiversity. Pojar also recommends wildlife sanctuaries and migration corridors for grizzlies, wolves and other species as they flee rising temperatures and precipitation. But the harsh reality is that some animals may eventually disappear from the region, regardless of how much land is protected. For instance, predictions of more frequent thawing and freezing will coat ground lichen with a layer of ice, cutting off caribou from their main source of winter food, Pojar warns. "The name of the game is going to be triage. Many species are not going to make it through this climate change bottleneck," says Pojar, a former provincial forester and retired executive director of the Canadian Parks and Wilderness Society. While he is the first to overlay predicted climate changes on physical landscapes over such a vast area, scientists at the Virginia-based Nature Conservancy are using the technique on a smaller scale. They are assessing lands the conservation group plans to buy to see whether they will remain important targets for conservation in the future. The group is now considering buying land based on its potential, not on its current conservation value. 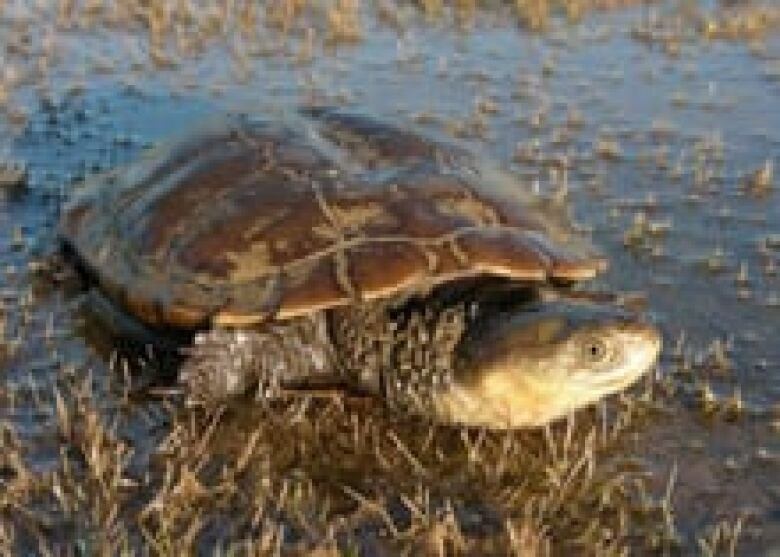 For instance, nondescript habitat slightly in from the coast in the southeastern United States could morph into valuable wetlands as sea levels rise, says the conservancy's chief scientist, Peter Kareiva. While habitats will undoubtedly change, the species that live in them may have trouble relocating. In years past animals could move on their own as their native range became inhospitable, but cities and farms now stand in their way. That's why some biologists are beginning to talk about assisted migration, despite worries that it could have unforeseen consequences. University of Notre Dame conservation biologist Jessica Hellmann and her colleagues recently proposed a system for assessing when to help wildlife relocate to places they aren't currently found. Writing in the journal Proceedings of the National Academy of Sciences, they suggest a scoring system for weighing scientific and social implications. They don't expect their scorecard to eliminate controversy — Hellmann says she and her colleagues often disagree when applying it, even in theoretical situations. But she argues that because climate change is so radically and rapidly altering habitat, we need to consider equally radical answers. "We're responsible for climate change, and therefore maybe we're responsible for helping animals deal with climate change," Hellman says. The Western Swamp Tortoise is the worlds most endangered tortoise. Its habitat is drying up, due to Australias extended drought. ((Gerald Kuchling, Western Australian Department of Environment and Conservation))That is the thinking behind an Australian project designed to find suitable habitat for the world's most endangered tortoise, the Western Swamp Tortoise. University of Western Australia biologist Nicola Mitchell and her colleagues aim to predict where best to introduce captive-bred individuals, given her country's extended drought. The tortoises are highly adapted to their particular habitat — they need swamps with roughly 30 cm of standing water in winter and spring for feeding, mating and growth. But with a predicted overall warming of up to 3C and a decrease in rainfall of up to 20 per cent by 2100, those swamps are drying up. Mitchell will use computer programs to figure out an area's continuing suitability by looking at the interaction between predicted precipitation and temperature, and topography, vegetation and soil. She'll match that up with the very specific conditions the tortoise needs to successfully reproduce and, armed with this information, her team hopes to make recommendations for future habitat. Still, conservationists are only too aware that such attempts to mitigate the effects of climate change could encourage a laissez-faire attitude to halting it. "It's clear that our policy makers are not making the tough decisions needed to prevent significant climate change," Seastedt says. "A number of conservationists and a few scientists classify our viewpoint as defeatism, but they're missing the point. We still can keep the parts, the biota; we just have to find creative ways to do that."